Christine's passion has always been to create, and she enjoys working with each bridal client to create a look that enhances them effortlessly. 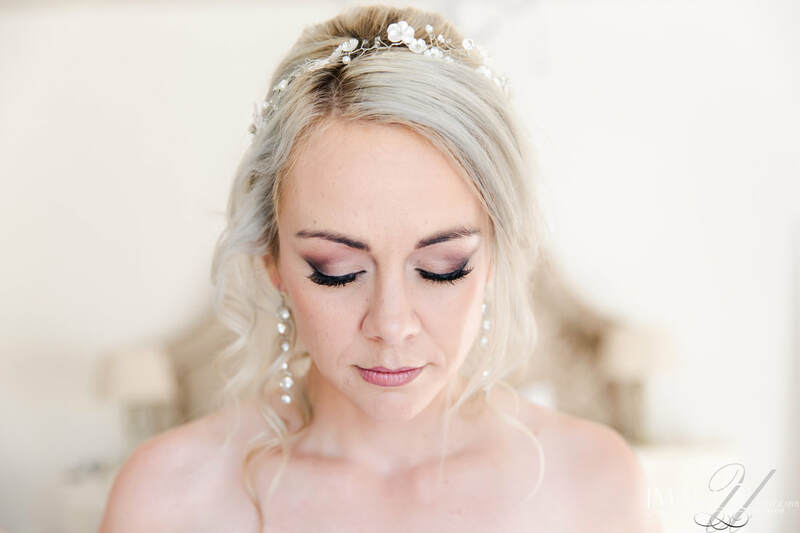 Having worked with numerous photographers she understands lighting, colour , and what is required to turn your photographs into beautiful memories.She helps her clients chose a hairstyle and make-up look that will enhance their colouring and suit their facial structure. It is important that the bride's look forms a seamlessly picture that works together. Please have a look at her Bridal Portfolio to view examples of her work. A quote can be requested by filling in the submission form below. Having worked with numerous photographers on photoshoots, Christine understands that one needs to have a fine sensibility, to ensure that all the elements of a shoot comes together. This means that the clothing and hair should fit seamlessly together to create a silhouette that is visually pleasing to the eye. The make-up should never over power the model or distract from the concept, but rather enhance effortlessly. She likes to assist her clients in coming up with a solution that best fits their concept, drawing from her background in art & fashion, to create something that will amaze the viewer.